Here are the full tasting notes for Pauillac chateaux, listed alphabetically from L-Z, starting with Château Lafite-Rothschild. For Pauillac properties A-H click here. Click on the individual château profiles on the drop down menu for more details on each estate. 2009 Mid depth; forward blackcurrant aromas with spices and some leaf; spicy blackcurrant tones on the palate in a medium weight and forward format; some stalks; tannins ripe if a little chew here. This works very well in a forward, appealing and balanced style. Drink now-2025. 89+ MW Institute Nov ’13 [Earlier note] Mid red; leafy blackcurrants; lighter toned and less crammed with fruit; good effort though in more medium weight less dense style; supple; spicy/leafy blackcurrant tones; lacks depth compared with the leaders here but has freshness. 89/100 UGCB Oct ’11 [Earlier note] 2009 Deep and inky; ripe creamy nose; cassis; lots of extract and blackcurrants; dense and concentrated though maybe looser on the finish than the best wines here. Very good effort though and should be good value. 88-90/100 Tasted 30th March & 1st April ’10 UGC Primeur tastings. 2009 Deep, dense looking; opaque at core; saturated blackcurrant aromas, fresh [reminds me of the purity of Clerc Milon]; layers of fruit here; ripe and fresh; real purity; blackcurrants, wine gums, lots and lots of extract and material; fabulous depth of fruit here – surprisingly open on the palate – the most amazing fruit overlaying considerable structure and lots of ripe tannin. Not flashy and exotic as some vintages of Mouton are but this will develop over time, what you have currently is the most extraordinarily pure blackcurrant fruit. Drink 2019-2045. 100 MW Institute Nov ’13 [Earlier note] Saturated black at edge; lots of blackcurrants here and cassis; a little primary at this stage; very deep; minerals, stone, blackcurrants. Palate layered, quite hard but concentrated. Excellent length; nicely judged extraction and very fine tannins. More tannic than Lafite but this is Mouton. Very good structure. Intense. Very fresh palate with good acid and tannin. [Second tasting note]: Very deep and saturated with purple meniscus; precise blackcurrants; some stones, minerals and graphite; very good palate and entry; fruit and layers; quite good tension in the wine; tannin very well formed and round. Length 30-40 seconds. Very fresh. Feel this is 98+/100. 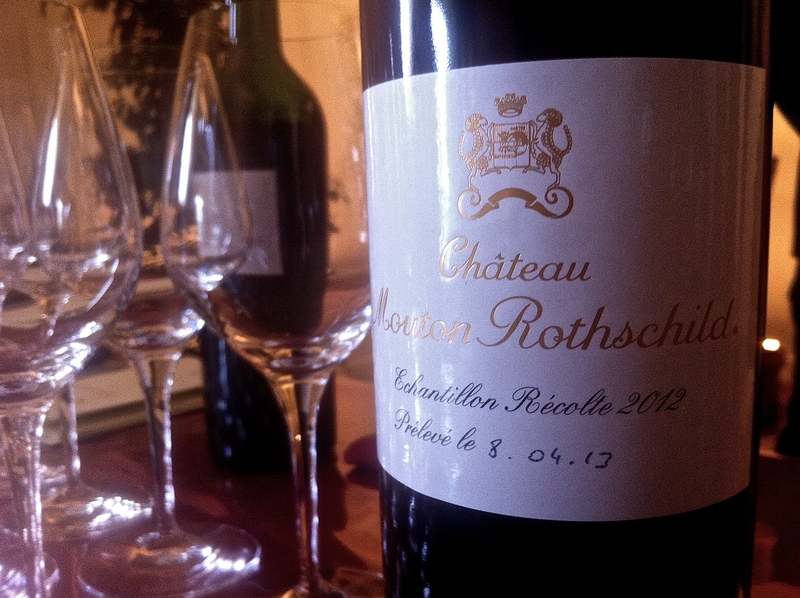 Tasted 1st April ‘10 at Mouton. 1994 Dark black; lots of extract and minerals on nose; palate tannic and dense. 92+/100 Barrel sample tasted at Mouton November ’95.